AppleInsider has reported that Apple Chief Executive Officer Tim Cook was spotted at Valve’s Washington based headquarters earlier today. 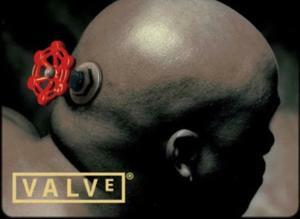 Valve is the acclaimed development studio behind the popular Portal, Half Life and Team Fortress series. The studio is also responsible for Steam, an online platform built around downloadable games, including more than 500 Mac compatible items. The most interesting part is that Apple and Valve are direct competitors. Valve launched its Steam platform on Mac OS X in 2010. A year later, Apple followed with its own App Store for OS X. Several big name games, including Borderlands and Batman Arkham Asylum, are available through the Mac App Store. These same titles are listed as unavailable on Steam. While Apple has limited itself to its own hardware, Valve has expanded to other platforms. The studio has opened network play between select PC and PS3 titles, developed several iOS and Android apps, and appears to have ambitions to launch a platform of its own.